Hayes, Peter. The Lower American River. Prehistory to Parkway. Sacramento. American River Natural History. 1991. Octavo. Soft cover. Reprint. Illustrated. Important reference work. Fine copy. 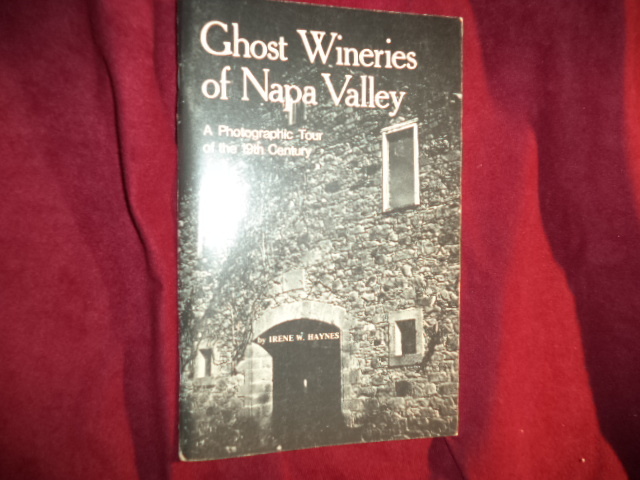 Haynes, Irene W. Ghost Wineries of Napa Valley. A Photographic Tour of the 19th Century. Photo available. San Francisco. Self published. 1980. 80 pps. Octavo. Soft cover. First edition. Illustrated. Important reference work. Fine copy. Hays, Lorena L. & Jeanne Hamilton Watson (ed). To the Land of Gold and Wickedness. The 1848-59 Diary of Lorena L. Hays. Photo available. St. Louis. Patrice Press. 1990. 46 pps. Octavo. Soft cover. Reprint. Illustrated. Important reference work. Fine copy. Haystead, Ladd. If the Prospect Pleases: The West The Guidebooks Never Mention. Norman. University of Oklahoma Press. 1945. 208 pps. Octavo. Hardcover. First edition. Fine copy in fine dust jacket (in mylar). Hearst, William Randolph, Jr. The Hearsts. Father and Son. Niwot. Roberts Rinehart Pub. 1991. 372 pps. Octavo. Hardcover. First edition. Illustrated. Fine copy in near fine dust jacket (in mylar). Hedges, Mackey. 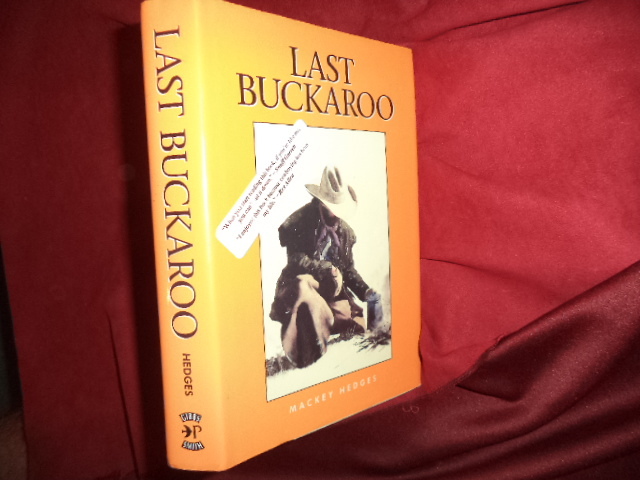 Last Buckaroo. Photo available. Salt Lake City. Gibbs-Smith. 1995. 338 pps. Octavo. Hardcover. First edition. Full number line. Important reference work. Fine copy in fine dust jacket (in mylar). Hedrik, Basil (ed). The Classic Southwest. 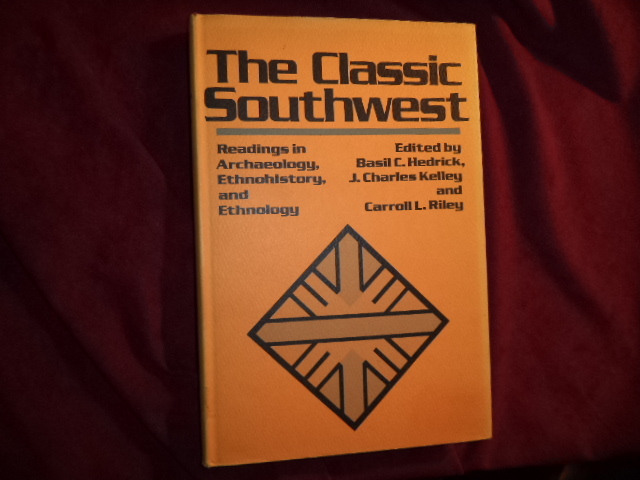 Readings in Archaeology, Ethnohistory, and Ethnology. Photo available. Carbondale. Southern Illinois University Press. 1973. Octavo. Hard cover. First edition. Fine copy in fine dust jacket (in mylar). Hegstad, Roland R & George Mathis. Tall in the Saddle. Twenty-One Short Essays Depicting "Tall Men" of Today. Including Twenty-One of the Fines Original Line Drawings of Authentic Western History. Photo available. np. Freedom House. 1977. 4to. Soft cover. First edition. Illustrated. Important reference work. Near fine copy (very light shelf wear). 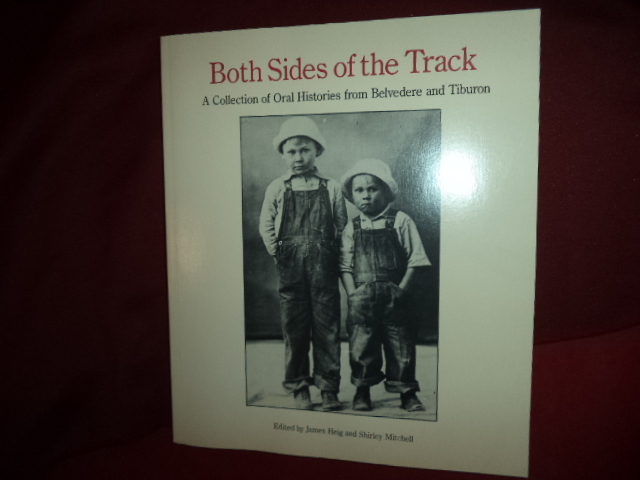 Heig, James & Shirley Mitchell (eds). Both Sides of the Track. A Collection of Oral Histories from Belvedere and Tiburon. Photo available. San Francisco. Scottwall Associates. 1985. 218 pps. 4to. Soft cover. Stated first edition. Illustrated. Important reference work. Fine copy. Heig, James (ed). 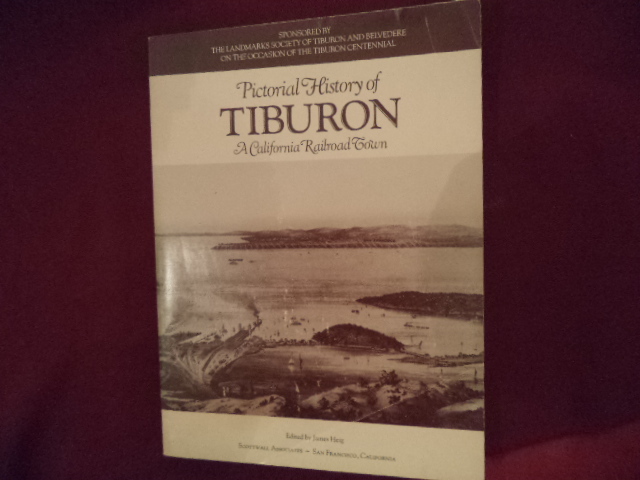 Pictorial History of Tiburon. A California Railroad Town. Photo available. San Francisco. Scottwall. 1984. 172 pps. 4to. Soft cover. First edition. Illustrated. Important reference work. Near fine copy (very light shelf wear). Heimann, Jim. California Crazy. Roadside Vernacular Architecture. Photo available. San Francisco. Chronicle Books. 1980. Octavo. Soft cover. First edition. Illustrated in black, white and color. Fine (owner name on end paper) copy. 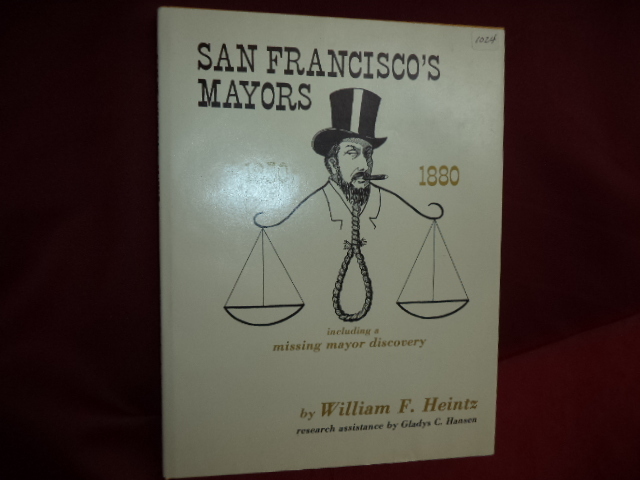 Heintz, William F. San Francisco's Mayors. 1850 - 1880. Including a Missing Mayor Discovery. Photo available. Woodside. Gilbert Richards Publications. 1975. 4to. Hardcover. First edition. Illustrated. Maps. Fine copy in fine dust jacket (in mylar). Heitkamp, Helen (ed). Larkspur. Past and Present. A History and Walking Guide. Photo available. Larkspur. Larkspur Heritage Preservation Board. 2010. 372 pps. 4to. Hardcover. First edition. Illustrated. Important reference work. Fine copy in fine dust jacket (in mylar). Heizer, Robert and Theodora Kroeber. Ishi. The Last Yahi. A Documentary History. Photo available. Berkeley. University of California Press. 1981. 242 pps. Octavo. Soft cover. Reprint. Illustrated. Near fine copy (very light shelf wear). 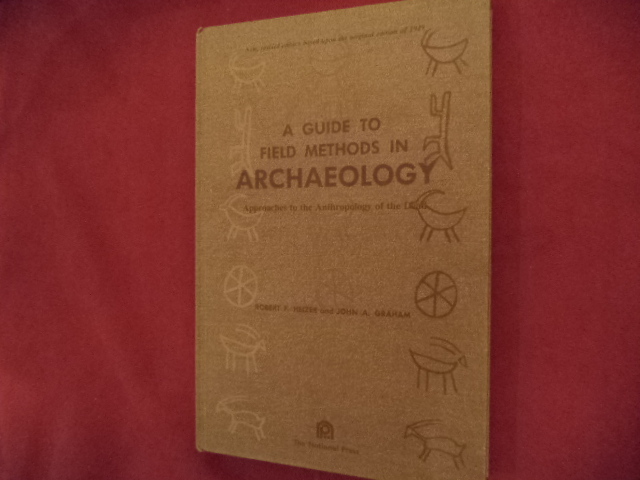 Heizer, Robert F. A Guide to Field Methods in Archaeology. Approaches to the Anthropology of the Dead. Photo available. Palo Alto. The National Press. 1968. 274 pps. 4to. Decorated hard cover. Second edition. Illustrated. Important reference work. Fine copy. Heizer, Robert F. & M.A. Whipple. 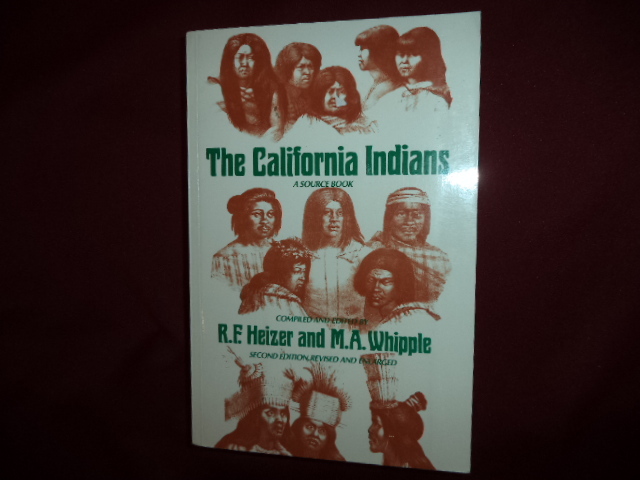 The California Indians. A Source Book. Photo available. Berkeley. University of California. 1971. Octavo. Soft cover. 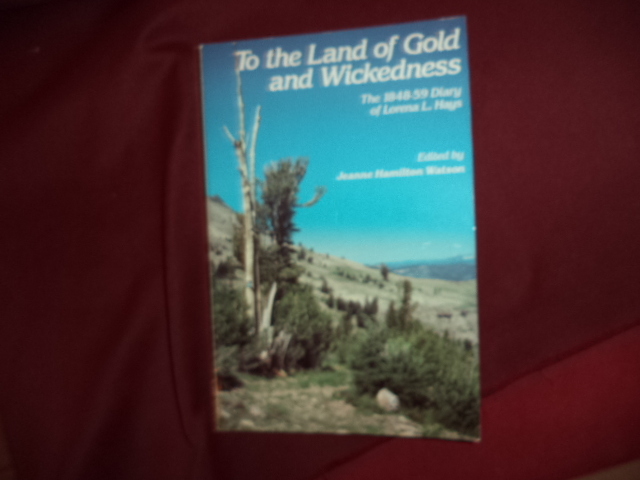 Revised and enlarged, second edition. Illustrated. Important reference work. Folding tribal map. Fine copy. Heizer, Robert. The Other Californians. Prejudice and Discrimination Under Spain, Mexico, and the United States to 1820. Berkeley. University of California Press. 1977. 278 pps. Octavo. Soft cover. First edition thus. Fine copy. Helfer, Jacques. 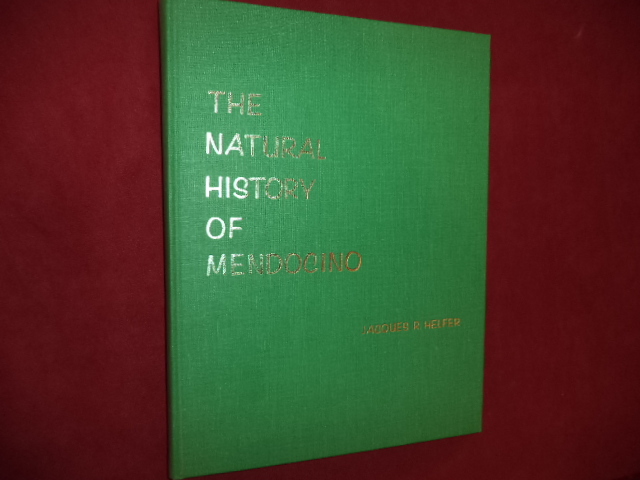 The Natural History of Mendocino. Photo available. Mendocino. Self published. 1970. 159 pps. 4to. Hardcover. First edition. Illustrated. Important reference work. Fine copy. Helfrich, Devere and Helen. Emigrant Trails West. A Guide to Trail Markers Places by Trails West, Inc. Along the California, Applegate, Lassen, and Nobles' Emigrant Trails in Idaho, Nevada, and California. Photo available. Klamath Falles. Trails West. 1984. 211 pps. 4to. Soft cover. First edition. Illustrated. Important reference work. Errata slip. Membership application laid in. Fine copy. Helgesen, Sally. Wildcatters. A Story of Texans, Oil and Money. Garden City. Doubleday and Co. 1981. 198 pps. Octavo. Hardcover. First edition. Fine copy in near fine dust jacket (in mylar). Heller, Dean. Political History of Nevada. Inscribed by the author. Photo available. Carson City. State Printing Office. 2006. 461 pps. Octavo. Gilt decorated hard cover. 11th edition. Illustrated. Important reference work. Inscribed by the author '12-27-06 Dean Heller Secretary of State". Fine copy (small name on end paper). Helmich, Mary. A Gold Rush Merchant's Manual or, How to Appear as a Mid-19th Century Store in a 21st Century World. Photo available. Sacramento. Office of Interpretive Services. 1989. 188 pps. 4to. Soft cover. First edition. Illustrated. Important reference work. Fine copy. 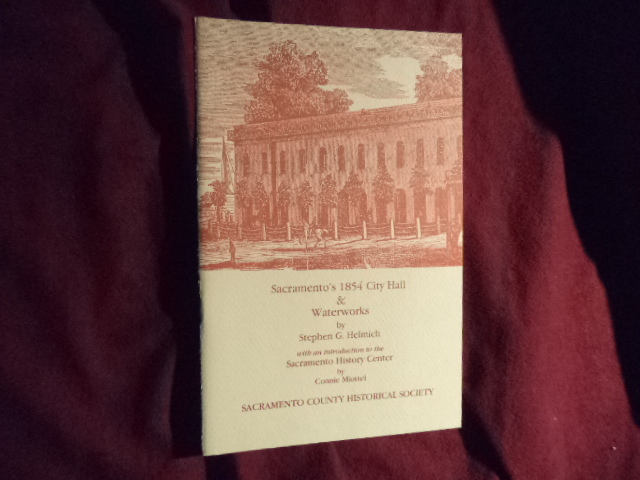 Helmich, Stephen G. Sacramento's 1854 City Hall & Waterworks. Photo available. Sacramento. Sacramento County Historical Society. 1986. 32 pps. Octavo. Soft cover. First edition. Illustrated. Important reference work. Fine copy.